Welcome to the EMC Support Community Ask the Expert conversation. In this session we will focus on one of the main features of VMware NSX, particularly concentrating on security and how to make virtual data centers based software safer. We'll look at the logic behind Microsegmentation and its technical performance in regards to the VMware Hypervisor and its future vision protection mechanism offered by VMware NSX. 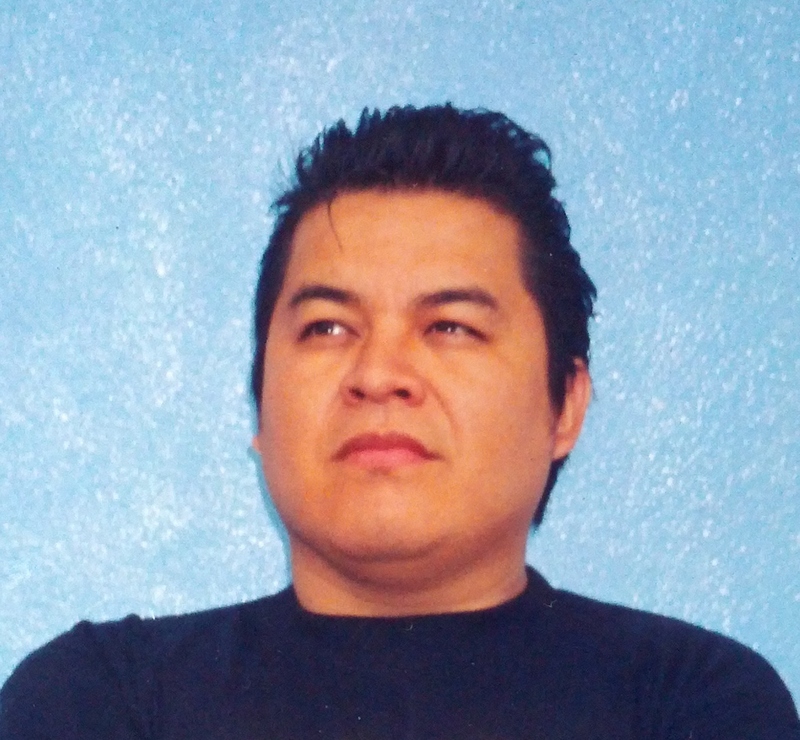 Raymundo works as a Senior Consultant at VMware Professional Services Office for the LATAM Region. He is an experienced architect and has worked installing broad cloud solutions based on VMware products. Recently he was awarded as a VMware vExpert. Currently in his career his focus is on NSX which he says it has become his second love after vMotion. Twitter: @elnemesisdivina. LinkedIn: https://mx.linkedin.com/pub/raymundo-escobar. This discussion takes place from July 11th - July 29th. Get ready by bookmarking this page or signing up for e-mail notifications. 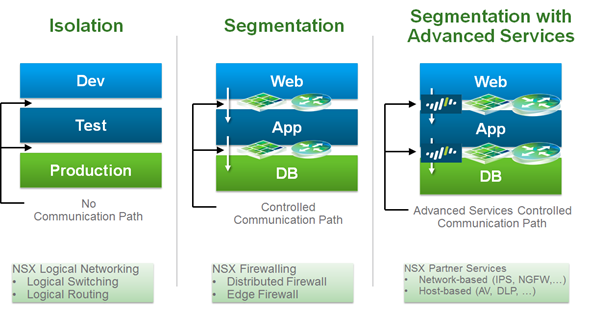 Segmentation: Ability to segment workloads/applications on a granular basis using NSX Distributed Firewall. This session will discuss some of the technical aspects of each point and how the solution VMware NSX makes its implementation is simplified and making safer Software Defined Data Center . As I mentioned before traditional Datacenters are a shell in terms in security and the focus is in the perimeter, sometimes the same firewall is used to protect virtual workloads making challenge how to detail the protection in this ambit. VMware NSX bring the answer to this and other challenges enabling visibility inside the datacenter and how is protected the virtual datacenter as well as reducing the breach of security in granular fashion using distributed controls like DFW or Distributed Firewall. First lets describe what is the DFW and how it works and mainly what brings to complement the picture on micro-segmentation. A DFW is a Statefull firewall at hypervisor kernel level, this means that the DFW is running embedded in the VMware vSphere but hidden from VMs, this means that is not a VM protecting other VM’s is an instance of a FW per each ESXi host you have in datacenter (running ESXi and working in cluster). The inner layer of this firewall enforces firewall rules at vNIC level per every VM been protected, again is not a virtual appliance running part in the user space and some in kernel space like 3party appliance we try to describe further, so that the throughput is related to the number of physical nics in each ESXi hosts, as said this is a statefull firewall and work on OSi layers 2 to 4 but is able to offer a complete solution integrated with 3party vendors extend his capabilities up and including layer 7. As in traditional FW there is a central management for all the configuration but is only one for all the DFW instances per ESXi Hosts and there are three ways to manage and configure and consume is want so, for the DFW, using the vSphere Web Client, using a Cloud Platform or using Rest API. Micro-segmentation can enabling administrators with isolation between layers inside the virtual datacenter, this means that we are now able to enforce separate tiers and isolate the applications between each other’s by using overlay networks, breaking the physical limitation of implement vLANS. Segmentation is another advantage, this means that we can have between those tiers switching and routing services and more over firewall services where we can control all the communications between tiers and making exactly what kind of packets we want to traverse and what direction horizontally without the need to determine a piece of hardware outside the virtual datacenter dealing with performance and nearest the applications. Advance services and Policy framework, this advantage consists on take to upper layers the DFW by integrating 3rd party vendors for advance security introspection, security policy enforcement, and other advance services offered nowadays in the market. Now let see in deep the concept of DFW and service composer, there is something we need to understand before go deep in this awesome stuff, from security perspective NSX has two statefull firewalls, I would say inner core and extra core, in other words the conceptual FW for the North –South traffic inspection and the East-West traffic, the North-South FW service is present in the External Service Gateway, a VM format appliance which is able to provide this and other services. 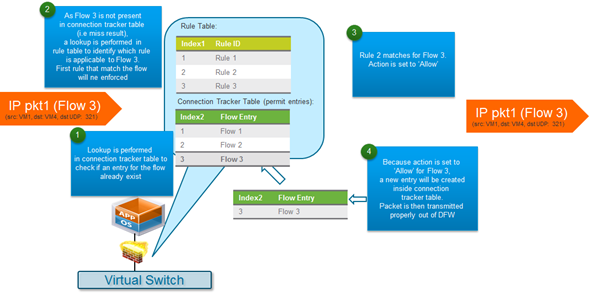 As many firewall in the market DFW enforces firewall rules from top to bottom the first packet who reaches the DFW is analyzed then if the flow exists in the flow entry the packet is checked against the FW rule otherwise if the incoming packet is not in the flow table then is check the Rule Id table and only then if, is permitted the flow is caching so that when other packet reached the firewall only check the flow cache if the rule is to drop the packet the packed is discarded. Of course this is not new from the state full firewall functionality but is an elegant way to characterize the how the DFW works all at line rate speed at hypervisor level, of course there is other piece in the picture that answer the question what happen when there is another third party vendor in place? Well in principle is the same the only difference is the packet flow internally at hypervisor at fast plane and slow plane to send the packet to be analyzed by the engine of the 3rd party vendor, but let’s describe the architecture of DFW. 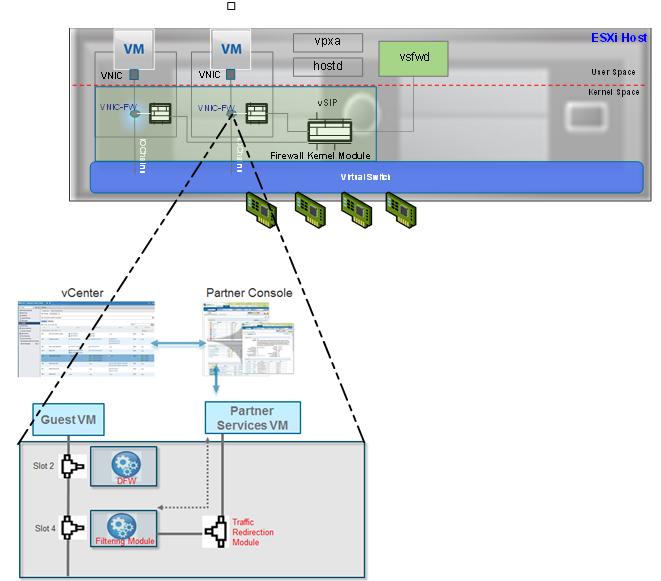 Just ot remember the DFW is working or works at hypervisol level, then at Vnic level and there is the enforcement of policies, but let hold on for a moment on describing the complete architecture: (try to follow with the figure below) VMware NSx cosnis of two components fundamental pieces for the micro-segmentation, and plase forgo for a moment about NSX controllers, those are no necessary for a microsegmetnation deployment but in case of VXLAN sure you will need them, so let [s assume that we hace the basic componentes as goes are: the web client important piece to consume the DFW services, this can be substitude by a Cloud platform manager or a rest client like postman, o perl, ppython scripts pointing to the ResAPI exposed by the NSX manager, then we have the NSx manager and the vCenter server those two are the control plane one for vSphere layer and VDS (a.k.k vSphere Distributed Switch) , the NSX manager as control plane for the DFW since this is instanciated on every ESXi host in a cluster(not indivualy ) for matters of explannation we have in the picture only one Esxi host from that prepare cluster for DFW in other words you hav eto install in every ESXi host oof a cluster the vSphere Installation bundle from NSX manager (NSX manager comes with it so don’t worry to try to get that piece from somewehere else). Ok, the Nsx manager is containing the vpostgress DB, the Identity Engine and the clien for some sort of bus messaging protocol as application but not worries this is only informative and maybe just maybe if you have a problem there let GSS guys take of you since all of this embeded, so , the AMPQ client inside the NSX manager talks with the vsfwd which is on char of the FW processing, just like the vCenter does with the vpxa for the objects and resources inside the ESXi hosts for make the forecast and calculations for demand and available resources, then this module “vsfwd” been in the user space or slow plane keeps a deep communication to the vSIP or the vSphere Integration Platform or the VMware Internetworking Service Insertion Platform I put it like that since I have found sometimes confusing called in way or other but is the same, so this vSIP is a daemon in the Kernel space or fast plane whitin the ESXi host and this one is on chager of all the data plane for the DFW it receives the firewall rules from NSX manager and enfoce in the VNIC level of every VM in that particular ESXi host, in addiotion this will take care of desition on what to to if there is a thir party vendor engine in place and what to do with the packet to be analized by this engine and then go back to the VM. The order of processing is formed in slots inside the VNIC the first 4 are for vSphere NSX and the last for other product engines like Palo Alto Networks, TrenMicro, Hydra, Rapid7 so on so forth, there Is not an specific order but it counts to 16 slots. 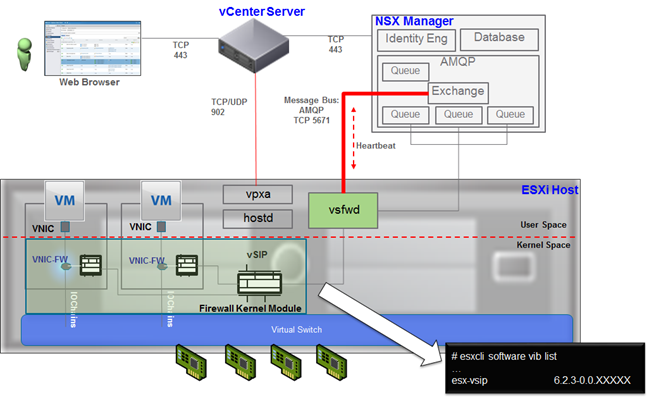 We have define how the DFW works and his interaction with 3 party vendors, so let’s check some functionality of this, well you can have a function of a flat Firewall running on the hypervisor, but what makes so special NSX is the way we can set rules thru the service composer. Fig. 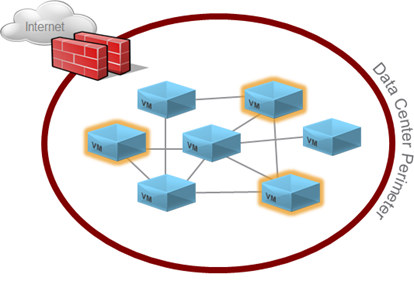 dispousal of VMs in two tier. As you can see the VMs in the example lives and contents for resources with others in same clusters of ESXi hosts, this mean for instance Distributed Scheduler on cluster decides to move VMs from one ESXi hosts to another the security will be stick with the VM no matters what happens in same way the engine service will not lost the VM to keep minoring on security behavior,. DFW is a big power tool to make easy the security implementation something that in recent years was nearly impossible due to nature of virtualization, empowering clients with all functionalities in the market today at line speed and with the nature of a VM, is more ahead to come but the future now about VMware NSX is making valuable solutions for today dynamics of business. Hi +vRay, how easy is it to implement a security scheme zero trust as it is mentioned in Forrester with the NSX tool? 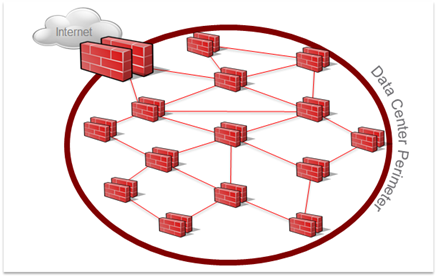 It is relatively transparent, since the very nature of the tool allows us to segment between virtual machines, so that the virtualizer or hypervisor in this case ceases to be a trusted zone where traditional schemes the perimeter firewall to address IP level "protects" the VMs, the answer to the question? which is what happens within the realm of the kingdom of hypervisor if a VM is committed ?, Well the answer is that security NSX is embedded so that it contained the problem, if it is necessary to stop maintenance hardware, the VM can be moved freely without reconfiguring their safety, or even if the VM is discarded and an equal is created with the same name, for example, is automatically added to the protection group has been applied. Specifically it is not only possible to have a model like the zero trust something that was unthinkable a while ago, but it is also possible to propose more advanced security services leveraging with third parties and network services the solution offers. What would happen if I have a general fail on NSX DFW? Although very unlikely, the recovery mode is similar to an appliance physical network, unless the cost of having vApp is far from a physical appliance, plus the dump configuration backup, in the natural normal behavior if example one of the ESXi host that has an instance of DFW has problems effect is to block traffic safety, however sometimes this behavior is not expected but can be determined from when a fault is present the vM can be evacuated another ESXi hosts without reconfiguring the DFW, we also have a control plane and data plane in case of failure of control plane the plane data is independent and "saved" rules are maintained in each instance DFW by default.